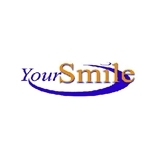 Your Smile Bel Air Family Dentistry (Bel Air) - Book Appointment Online! As usual there is no wait time when you go here. The staff are very friendly and professional. Dr. Danielle Zhu has served me very well as a dentist. I now consider her my regular dentist and plan to go to her for all of my dental needs.